While we are still waiting for the Drummond Commission report on the Reform of Public Services in Ontario, Don Drummond himself is giving broad hints at what may be ahead for health care. The latest is a November 17 paper published by the C.D. Howe Institute: Therapy or Surgery? A Prescription for Canada’s Health System. In it Drummond continues to scaremonger with his ‘sky is falling’ predictions even while health care costs are dropping as a percentage of the size of the overall economy and as a percentage of provincial program spending. Likely the most controversial of his recommendations is his suggestion that there be greater private sector involvement in the “public-payer umbrella.” That’s more private delivery of public heath care. Anybody reading the Toronto Star’s series on long-term care this week will realize just what quality the private sector brings to the table. The question is, where would new private involvement take place? The private for-profit sector is all over Ontario’s public health care system right now and is likely a big cost driver. We know it costs more in labs. We know that no savings or quality improvement has been demonstrated from the rise of for-profit home care providers. The auditor did a good job of demonstrating how much more it cost to build and maintain a hospital as a public-private partnership. It also makes it more difficult for public policy-makers to alter course with entrenched private sector interests involved. Earlier this year at the Central East LHIN, a relatively new board member noticed that the cost per MRI performed by the LHIN’s public hospitals was so much less than what private clinics were charging. In a scene straight out of the Mad Hatter’s tea party, Paul Barker, a Senior Director with the LHIN, said the LHIN was planning a visit to a private MRI clinic to see what they could learn from the private sector about MRI efficiencies. Needless to say, there was some confusion over why the public sector, already far more efficient in delivering MRIs, would need to look to the private sector. Diagnostics is one area Drummond thinks holds such promise for increased private sector involvement. The recommendation also contradicts Drummond’s assertion that Ontario, and even Canada, could achieve efficiencies in scale. How do you achieve efficiencies in scale when you are cannibalizing the public system, placing it piecemeal into the private sector? What is striking about Drummond’s C.D. Howe report is how out of date his numbers are. Just compare them to the latest report from the non-partisan Canadian Institute for Health Information. Drummond claims “the weight” of health care spending is between 40 and 50 per cent. CIHI says the Canadian average is 39.8 per cent of program spending in 2008 and has been relatively stable since 2004. 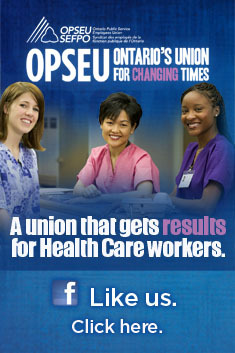 Drummond claims health care spending is expected to grow 6.5 per cent per annum in Ontario over the next two decades. Last year it was budgeted at less than 5 per cent. Drummond says that Ontario currently spends 46 per cent of its budget on health care. The budget says $47 billion of $115 billion in program spending is for health care. That’s 40.8 per cent. Perhaps Don needs new batteries for his calculator? Drummond talks about taking health services out of hospitals and delivering them at clinics, but then suggests Japan is among best performing countries that we should study. Japan delivers much more of its health care through its hospitals, not community clinics. It has far more hospital beds per capita, and far longer hospital stays than Canada. That’s the opposite of what Drummond is advocating. Drummond uses among his sources his own paper with Derek Burleton from 2010. No surprise that he also borrows the idea that seniors should be means tested for a larger co-pay on their drug plans. Yes, the man who believes corporations deserve tax cuts in an already competitive environment believes seniors should shell out more for health care. Drummond mostly ducks the question of the more than 30 per cent of Ontario health care that is outside the public sphere, but has no problem lumping those costs in with his international comparisons. Canada is always high in total health spending in part because a significant part of its health system is run like the U.S. It’s much harder to make his arguments about inefficiency when our public spending is in the middle of the pack of comparable nations. While e-Health is finally increasing the number of Ontarians with electronic health records, Drummond would like to throw a new wrench into the process, suggesting that instead individual providers should decide on their own e-Health platforms as long as they can be linked in the future. This from the “efficiencies in scale” guy. While the C.D. Howe paper talks about finding efficiencies, none of his ideas are actually costed. Before the province buys into this hodge podge of contradictory ideas, it might want such a costing before embarking on any major changes. Maybe they should buy him some fresh batteries for his calculator while they are at it. This entry was posted in Health System and tagged CD Howe, Don Drummond. Bookmark the permalink.